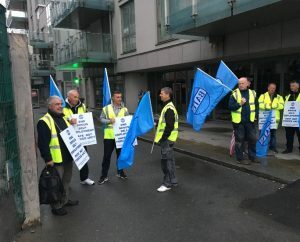 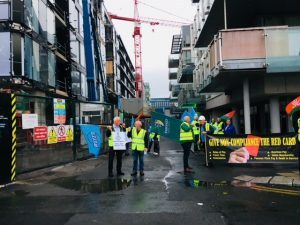 The campaign to highlight bogus self-employment in the Construction Industry continued on Friday 20th July 2018 with a large protest at the Cairn Homes project at Hanover Quay, Dublin. 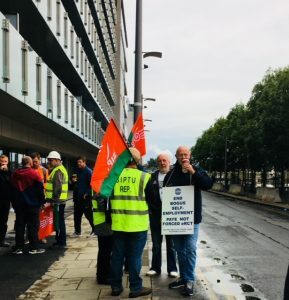 BATU, SIPTU, Connect & OPATSI members distributed information leaflets to highlight the benefits of PAYE employment and to outline the loss of Holiday Pay, Pension, Sick Pay, Mortality Benefit etc arising from the imposition of eRCT’s on workers. 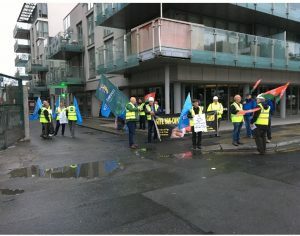 We urge all workers to join with BATU and the other construction unions in the campaign to establish decent working conditions for all. 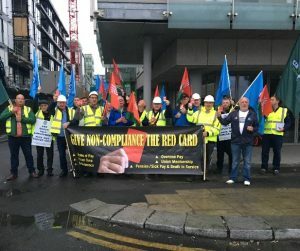 Ni neart go cur le cheile – STRONGER TOGETHER.